While the state and nation are seeing fewer deaths tied to heroin overdoses, synthetic opioids like fentanyl are contributing to more deaths, and there are concerns they're appearing in other non-opioid drug supplies. An analysis released Tuesday by the University of Minnesota has found that overdose deaths that involve heroin may be leveling out in the country, although states are seeing an increase in overdose deaths involving drugs like cocaine and methamphetamine. "It looks like we need to stop looking at the opioid crisis as just the opioid crisis," said Colin Planalp, a research fellow at the university's State Health Access Data Assistance Center. "To really get a handle on this problem, we need to look at ways to address multiple kinds of drugs, otherwise we run the risk that we will reduce or solve one problem — only to see another problem come and replace it." Close to 50,000 Americans die each year from opioid overdoses. Opioids are the family of drugs that include heroin, prescription painkillers like oxycodone and synthetic drugs like fentanyl. Opioids kill by shutting down a user's respiratory system. It can be especially dangerous if the drug is stronger than the user expected. • Q&A: Feds tackle opioid epidemic, but is it helping? At the beginning of the opioid epidemic, most overdose deaths involved heroin or prescription painkillers. But in the last few years, deaths involving synthetic opioids like fentanyl have dramatically increased. In Minnesota, there was an 82 percent increase in deaths involving synthetic opioids from 2016 to 2017 while deaths involving heroin fell by about 28 percent, according to the research. Between 2011 and 2017, the number of deaths involving cocaine has tripled while the number of deaths involving drugs like meth has quadrupled, the study shows. The national and state data doesn't shed light on how synthetic opioids are getting mixed into other drugs like cocaine and meth, Planalp said. 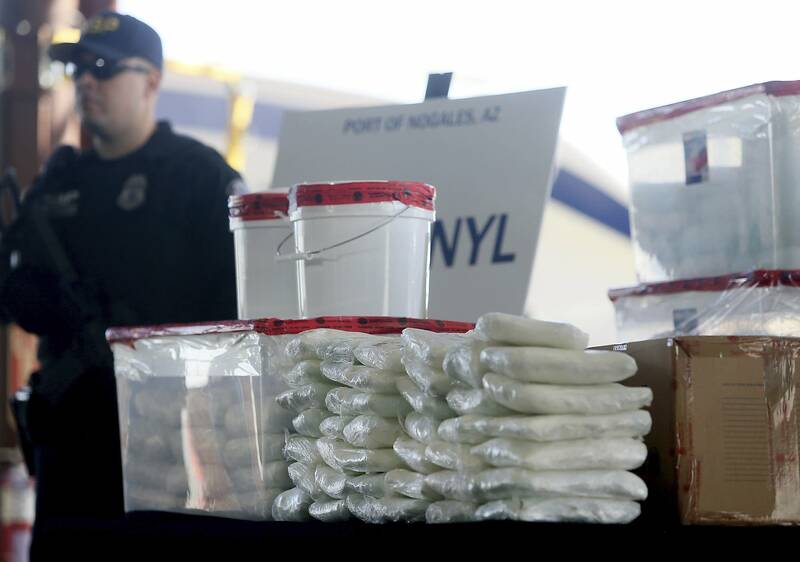 "It's not entirely clear whether drug traffickers are purposely mixing these drugs — whether it may be because of sloppy packaging where they accidentally get some fentanyl with some cocaine they're getting ready to sell," Planalp said. "Another possibility is that people who are using cocaine and fentanyl are mixing the drugs together or using them at the same time and overdose from them that way." Activists on the street have warned for some time that non-opioid drug supplies were being mixed with synthetic opioids like fentanyl, which can unpredictably strong and more likely to cause overdose. It can take time for actual data about what's happening to filter to the policy level. • Read more: In addressing opioid epidemic, who pays? Brit Culp is a substance abuse counselor, as well as an outreach activist for Southside Harm Reduction Services, which offers naloxone and clean syringe exchange for drug users in the Twin Cities. That group and other activists have been urging drug users to test their drugs with fentanyl testing strips to avoid overdose. "Even people within the community of folks who use drugs are still expressing some disbelief" that fentanyl can be in the drug supplies, Culp said. But activists kept hearing from non-opioid drug users who were unexpectedly going through an opioid withdrawal. They tested their drugs with the fentanyl test strips and found that fentanyl was present in meth or cocaine. She said they either changed how they used the drugs or threw them away.